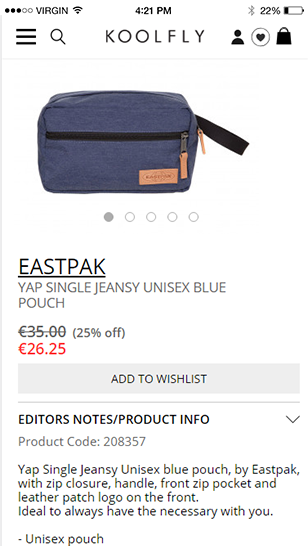 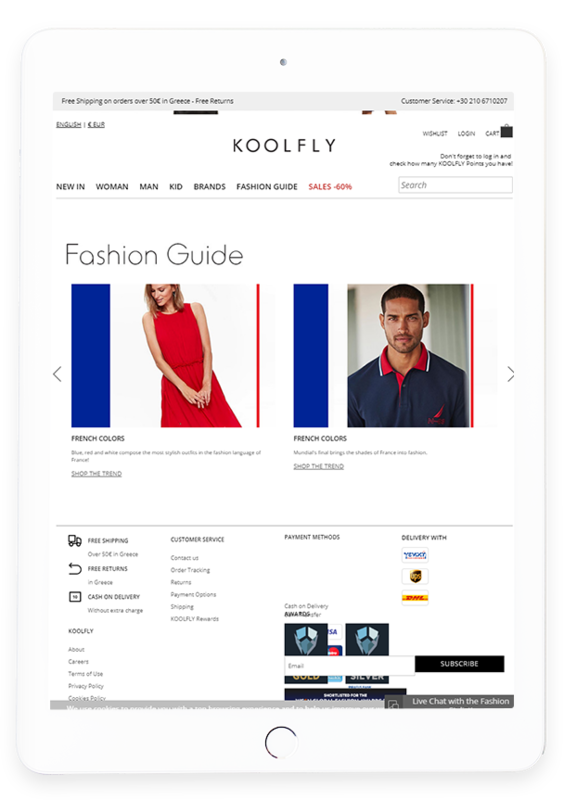 Koolfly is an eCommerce website acting as an ultimate fashion destination for men and women clothing and accessories. 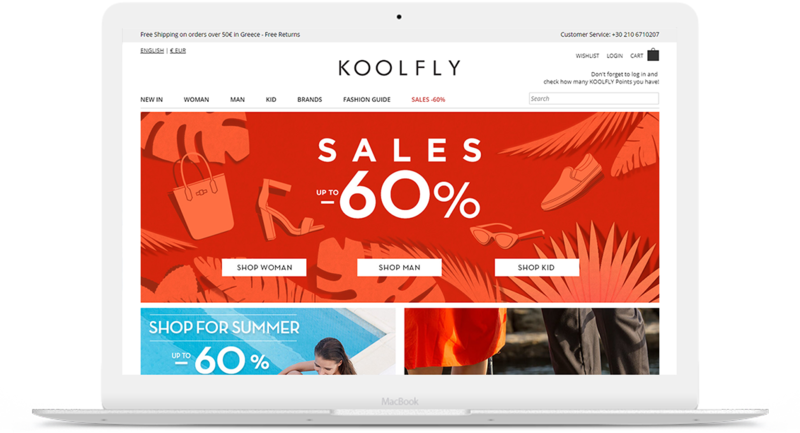 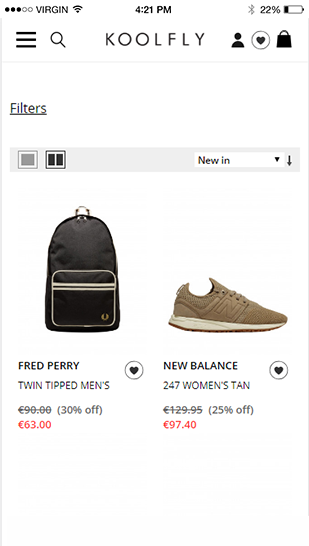 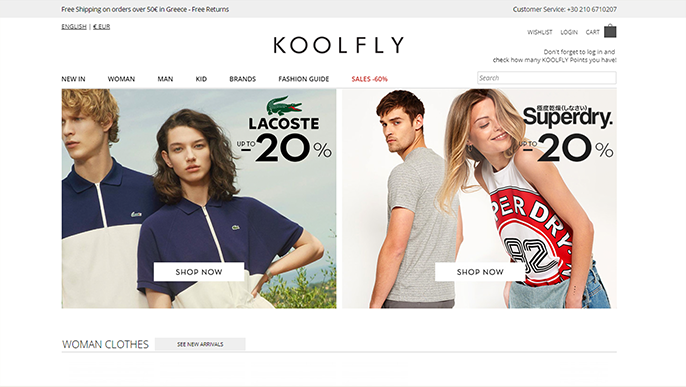 Koolfly is an eCommerce built on Magento. 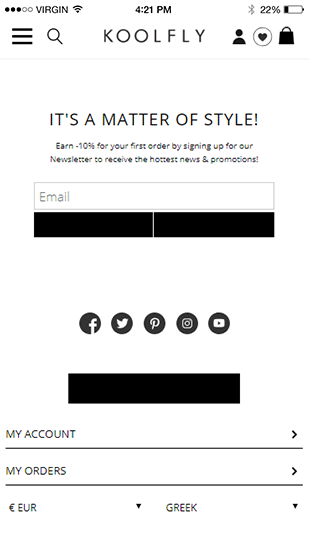 It is the hottest fashion destination for everyone offering latest fashion and style trends for online shopping. 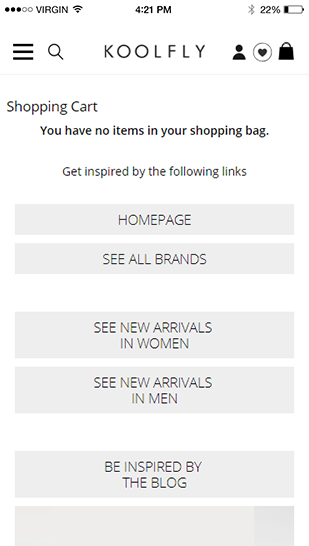 It features designer outfits and accessories of over 180 brands. 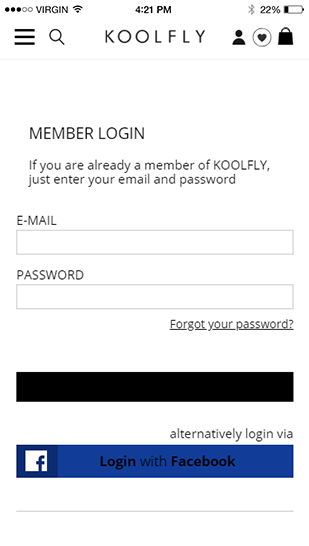 Koolfly was developed by Enovaway based in Greece offering multi-dimensional services.